There are 50 species of yucca, a perennial plant in the agavaceae family. The yucca prefers hot, sunny environments and well-drained soil. To bloom in large, white flowers, the yucca requires the assistance of the yucca moth, its only pollinator. The yucca can grow to be quite large, up to 30 feet, with sword-like 2-foot leaves. The yucca will tolerate a bit of cold, especially if offered protection from extended frost. Grow the yucca tree in an area that receives full sun all day. It also needs plenty of room to grow, as it can grow to 3 feet in width. Ensure that the soil in which the yucca is growing is well-drained. If you are just planting your tree, add 3 to 4 inches of coarse sand to the existing soil and mix it in well. Apply a 2-inch layer of compost around the base of the yucca annually. Water the yucca tree every three weeks, unless it rains. 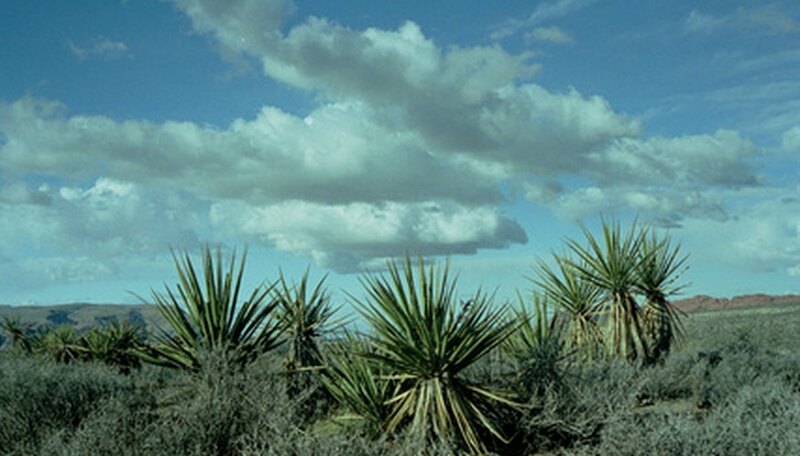 Too much water is detrimental to the yucca. Prune away older leaves as they die, and cut the flower stalk to the ground when the flower is spent. Spring is the best time to do this. Cover the yucca with a tarp or blanket if frost is expected. You can add a string of Christmas tree lights under the tarp for additional warmth for the yucca. Use gardening gloves when handling the yucca as its leaves can be quite sharp.